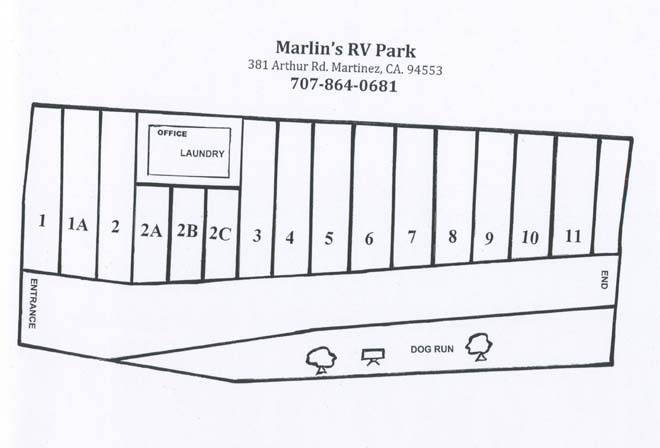 Welcome to Marlin's RV Park! Desirable location in Martinez to avoid the 680 Benicia Bridge Toll. Ideal location and close proximity for Refinery commute.